Syrian regime troops have successfully entered the embattled region of Afrin in northwestern Syria, Kurdish military officials said. The arrival of the soldiers came after days of conflicting reports about an agreement between the Kurdish People’s Protection Units (YPG) and the Syrian government to help secure the region against a Turkish offensive. Turkish President Recep Tayyip Erdoğan said earlier on Tuesday that an attempt by "terrorists" to enter Afrin had failed after Turkey repelled the attempt with artillery fire. Militants will pay a heavy price if they attempt to do so again, he added. “The Syrian government has answered our calls and sent military units today to be positioned on the borders and to participate in defending the territorial integrity of Syria,” Nuri Mahmoud, the official spokesman of the YPG, said in a statement Tuesday. Turkey is preparing to deploy to Syria special operations teams from the police and gendarmerie to take part in “residential district” operations as a part of Turkey’s battle with Kurdish militants in the Syrian canton of Afrin, Cumhuriyet newspaper reports. Quoting military sources, Cumhuriyet said the security forces attached to the Interior Ministry have been sent to the border and will be posted to the Syrian towns of Cinderes and Rajo. Turkish President Recep Tayyip Erdoğan said a group of fighters were forced to retreat from the border with Afrin in Syria after Turkey bombarded them with artillery fire. "We will not allow this," Erdogan said at a press conference in Ankara, according to NTV television. "They will pay a very heavy price." A group of about 10 trucks attempted to enter the enclave, Erdogan said, adding that sometimes "terrorists make their own decisions and they are wrong ones". Syria says Turkish artillery bombed a convoy of pro-regime forces as they entered the mainly Kurdish enclave of Afrin on Tuesday. The fighters have arrived to support locals against Turkish aggression and to confront islamic State (ISIS) militants, the state-run Syrian Arab News Agency reported . Syria said Turkish artillery bombed a convoy of pro-regime forces as they entered the mainly Kurdish enclave of Afrin on Tuesday. Turkey is bombarding forces loyal to Syrian President Bashar al-Assad after they entered the enclave of Afrin on Tuesday, CNN Turk television reported citing Syrian state media. Turkey is bombarding forces loyal to Syrian President Bashar al-Assad after they entered the enclave of Afrin on Tuesday, Turkish media reported citing Syrian state television. Fighters supporting Syrian President Bashar al-Assad have begun entering the enclave of Afrin, where Turkey’s army is battling Kurdish militants, Reuters reported citing Hezbollah sources. The militia are entering the area from Aleppo vis the al-Ziyara crossing point north of Nebul, said the media unit of Hezbollah, a Syrian government ally. Iranian-backed militia with heavy weapons and jeeps have entered the area, according to a separate report by journalist Samet Doğan on Twitter. The soldiers were shouting anti-Erdoğan slogans, he said. Fighters supporting Syrian President Bashar Assad have begun entering the northwestern enclave of Afrin, where Turkey’s army is battling Kurdish militants, Reuters reported citing Hezbollah sources. 17.25 video allegedly showing pro-Assad forces moving to Afrin with heavy weapons published by a Turkish journalist. According to the video, Militias with heavy weapons "formed a convoy to fight against Turkish Armed Forces. One of militias on a truck yells to a camera "we are coming Erdogan" as a slogan." Devlet Bahceli, leader of Turkey’s far-right MHP, said Turkey will continue its Afrin offensive regardless of U.S. “tricks”. He also warned Syrian President Bashar al-Assad that he would “suffer the consequences” if his troops entered Afrin in support of Kurdish forces. Syria’s Kurds have asked France to help stop a month-long Turkish incursion into the Afrin enclave, French radio station RFI reported. France could do more to halt the offensive aside from calling for an extraordinary meeting of the United Nations Security Council, Khaled Issa, representative of Syrian Kurds for France, said at a press conference in Paris. Turkey's military said on Tuesday it had neutralised 74 People’s Protection Units (YPG) and Islamic State (ISIS) fighters in the last 24 hours, bringing the total to 1,715 since an operation in the Syrian enclave of Afrin began on Jan. 20. Zeytin Dalı’nda 32. 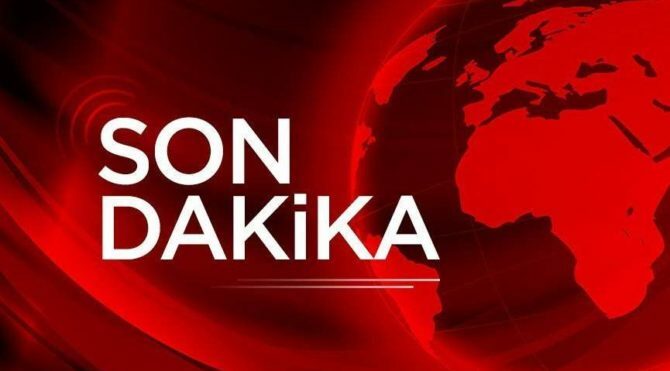 Gün: TSK’dan Afrin açıklaması Türk Silahlı Kuvvetleri'nin (TSK), Suriye'nin Afrin kentinde terör örgütlerine yönelik yürüttüğü Zeytin Dalı Harekatı'nın 32'nci gününde etkisiz hale getirilen terörist sayısı 1715'e yükseldi. Öte yandan bölgeden gelen haberlere göre Zeytune Köyü de terör örgütünden kurtarıldı.